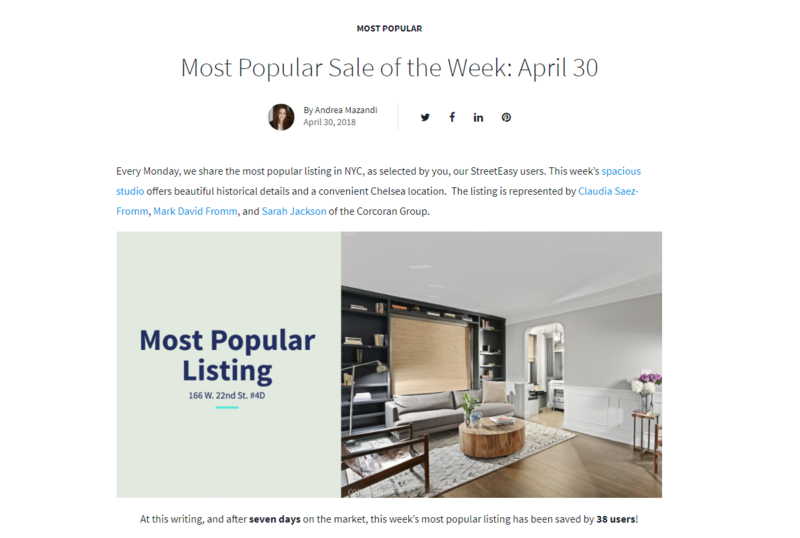 Each week, StreetEasy highlights their sites most popular listings, and after only one day on the market our new chic Chelsea studio at 166 West 22 Street, 4D has made the cut! See a preview below, read the full write up here and after take a look at this stylish Chelsea studio, now on the market! 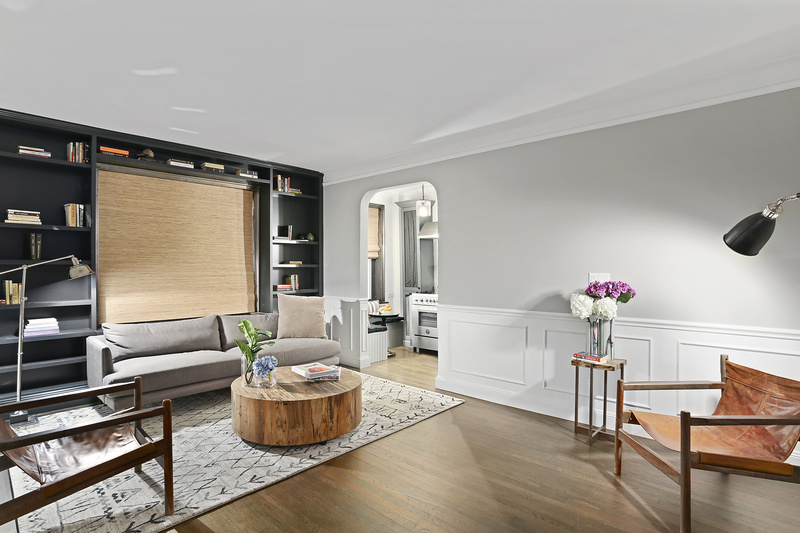 Rare Opportunity to live in a stylish and thoughtfully designed Chelsea studio by Jami Eliason, with the direction of celebrity hair stylist Ryan Cotton. 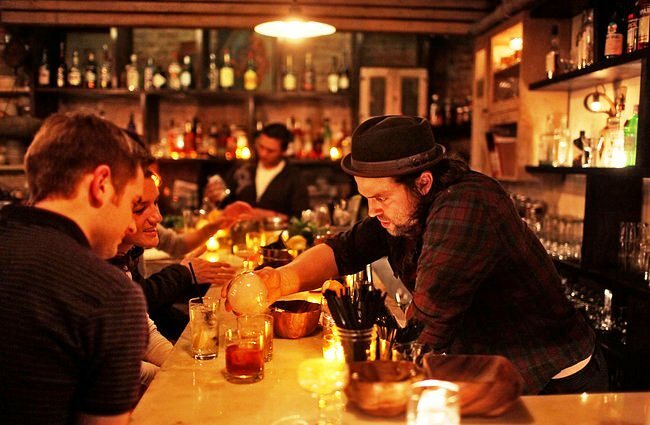 Come home to 166 West 22 Street, Unit 4D. A chic turn-key expansive studio with designated dressing area, eat-in breakfast nook, and a spa like bathroom. Upon entering your studio, it’s clear that no detail was spared. 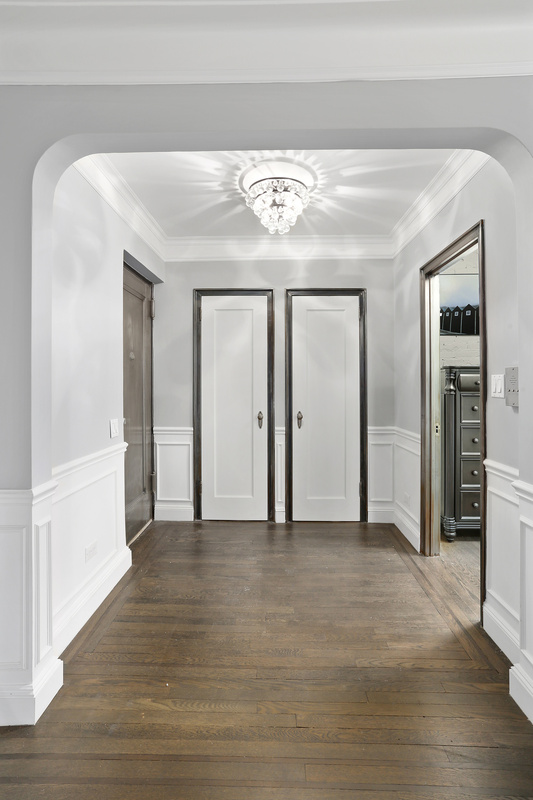 Enter the lofty space and swoon over moldings throughout your home. The foyer will greet you with a warm, elevated and stylish vintage feel. Gorgeous floor-to-ceiling custom-milled book shelves highlight the open and inviting living/sleep area. 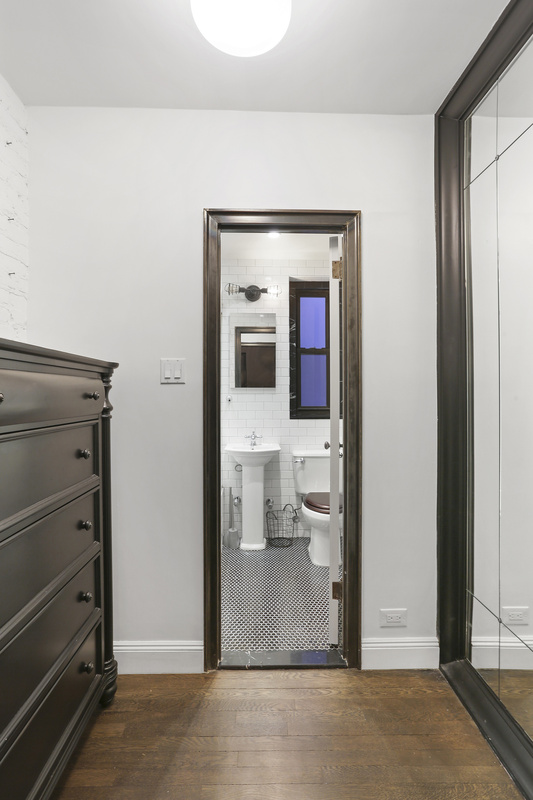 All details include door frames that are stripped to the original raw steel, door hardware and refinished dark walnut floors. An enviable kitchen to die for with custom bead board doors including a pantry with French wire and fabric honed Nero Marquina black marble countertops. 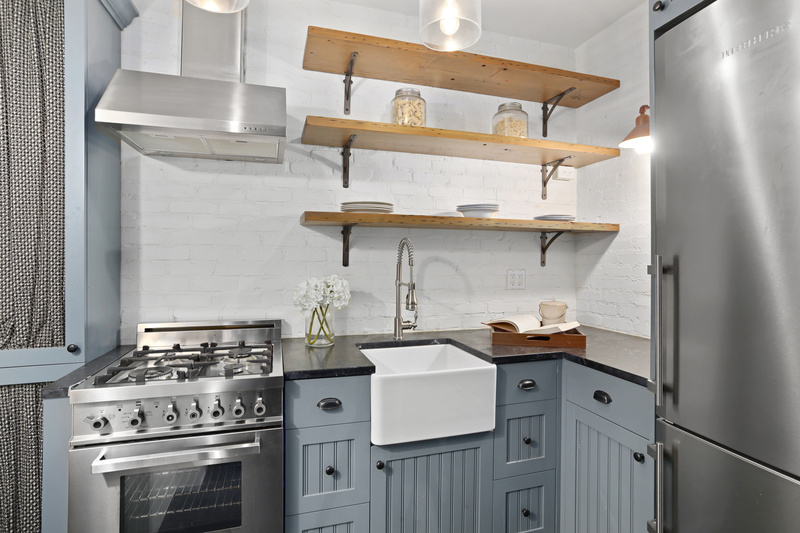 There are tailor-made floating wood shelves on brackets and a stainless steel Bertazoni Gas range and hood. Equipped with a farm sink, professional looking faucet and a stainless steel Leibherr refrigerator for all your gourmet food and spirits. 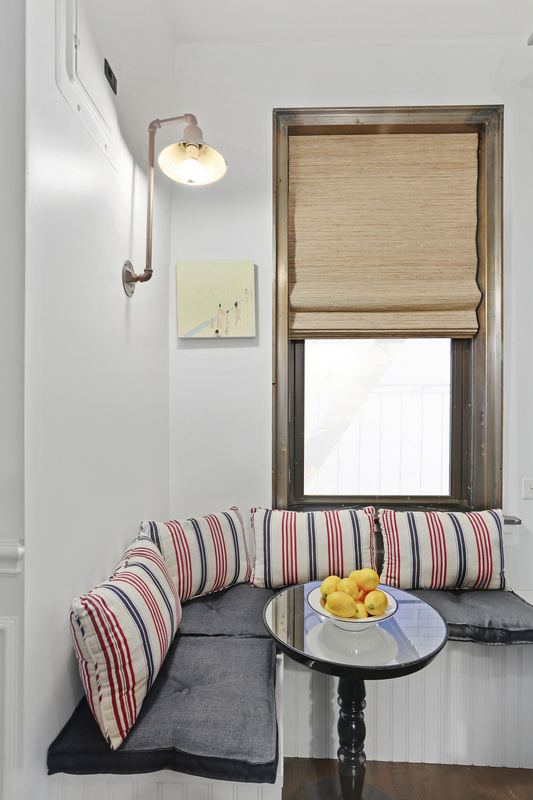 Enjoy your morning coffee in the built-in corner banquette with smartly placed storage underneath the seat. This studio has a massive built-in framed mirror and dressing alcove with 2 closets with plenty of space. Relax the working day away in a spa-like bathroom. 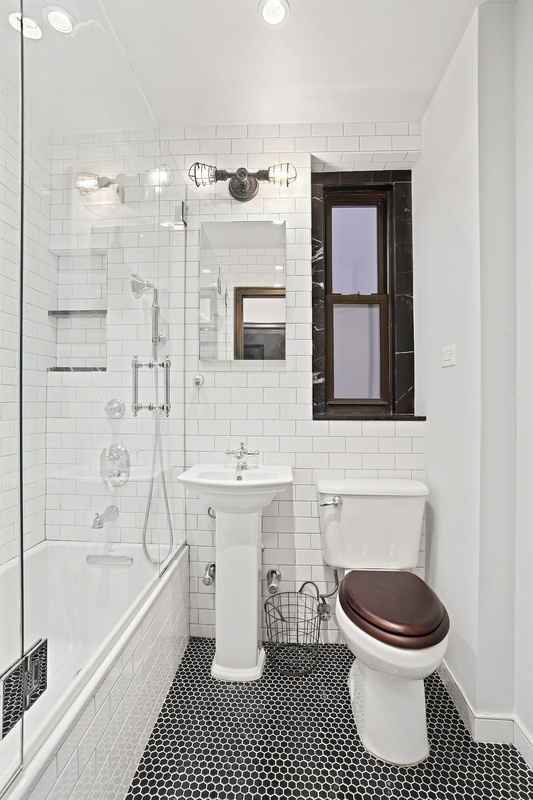 Surrounded by glistening white subway tiles, the deep soaking tub is enclosed with a glass door and dreamy rain shower head, plus a hand held shower handle. Stunning detail of Black Hexagon tile on the floor chicly contrasts the shower. 166 West 22nd Street is a Pre-war elevator building that has character and detail. There is a live-in super, on-site laundry and storage area. 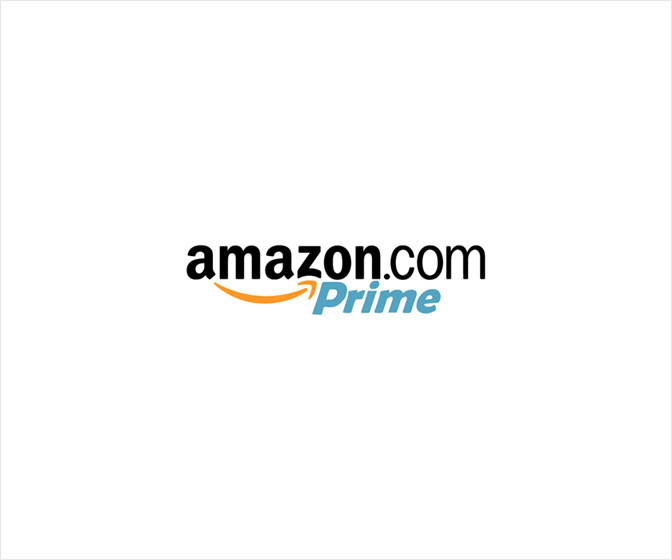 Located in the heart of Chelsea with access to all subways, Meatpacking Gramercy, Flatiron and West Village with proximity to the world renowned boutiques and restaurants that represents the very best of Downtown lifestyle. Contact me for a private showing…make this your new home!